Sometimes you just know a book is going to be good after reading the first few pages. It is kind of like you know after an interview that you are going to get that job. Or if you are dating someone for the first time and you know that there is potential for a relationship or even marriage. The initial impression can determine how things are going to be further down the road. Well, The Storied Life of A.J. 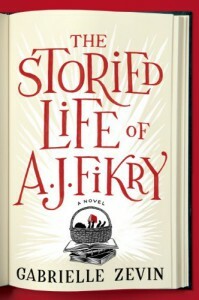 Fikry by Gabrielle Zevin, passes the initial impression test with an “A.” The novel revolves around A.J. Fikry, a gruff, irascible bookstore owner of Island Books on Alice Island. It is the only bookstore on the island and business is not doing well. Furthermore, Mr. Fikry’s wife just died recently. Mr. Fikry sees a mysterious package in the bookstore one evening before closing. He opens the package to see a baby girl inside and decides he will take care of it. 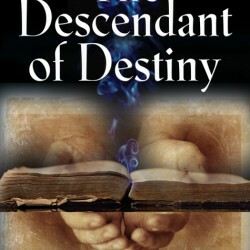 The relationship between the two is the main thrust of the novel. But, there are some other characters like Amelia, the sales rep of Knightley Press and Lambaise, the police chief of Alice Island, that adds a lot of color to this delightful story. Zevin does an excellent job of placing quotes from various books and grasping of how a mom-and-pop bookstore operates. Being a former bookseller myself, the novel brought back quite a few memories for me. I enjoyed reading this wonderful, gentle novel of a bookstore owner’s transformation and a love letter to books and bookstores. The sign on the front door of the bookstore in the story, “No Man Is An Island, Every Book Is A World.” gives it a fitting tribute to the importance of books and bookstores to a community. The Storied Life of A.J. Fikry is one of my favorite reads of 2014 and will get my highest recommendation as a must read. Bravo to Gabrielle Zevin for reminding us how the power of stories can truly shape one’s life.